Ruby Nell Bridges Hall is famous for being the very first black child to attend an all-white elementary school in the South. Ruby attended William Franz Elementary School in New Orleans, Louisiana. 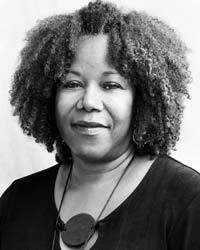 Ruby Bridges was born on September 8th, 1954 in Mississippi to Abon Bridges and Lucille Bridges. When she turned four, her family relocated to New Orleans Louisiana. When she was just 6, her parents volunteered her to participate in integration of the New Orleans School system. In 1960, Ruby was one of the 6 black children in New Orleans to pass the test that was used to determine whether or not black kids could join an all- white school. She joined the school while the other 5 children went elsewhere. Ruby was the only child assigned to William Frantz. Her dad was at first not okay with the idea, but after a while, her mother, who believed Ruby would get better education in that school, convinced Mr. Bridges. As soon as Ruby joined the all white school, some white parents pulled their kids out of the school. All the teachers in the school refused to teach since a black girl was in the school. Only one teacher, Barbra Henry, agreed to teach Ruby. Mrs. Henry taught Ruby Bridges for over one year. Every day Ruby went to school, U.S Marshals provided her safety. Ruby was only allowed to eat the food she brought from home as one woman threatened to poison her. In one case, a woman came to school with a black doll in a wooden coffin. The lady protested with the coffin outside the school; this really scared Ruby. Her mother suggested that she should pray on her way to school; this provided a sense of comfort from the nasty comments yelled at her as she walked to school. Robert Coles, a child psychiatrist, volunteered to provide counseling to Ruby during her first year in school. Ruby’s family also suffered for sending their daughter to an all white school; her father was fired, a grocery store that they shopped at refused to let them in and her grandparents were kicked off their land. However, despite everything, some people, both black and white, showed their support to Ruby’s family. A neighbor even offered her father a new job. Ruby Bridges is now married to Malcolm Hall and together they have 4 sons. She still lives in New Orleans. She worked as a travel agent for 15 years before becoming a full-time wife and mother. She chairs the Ruby Bridges Foundation, which was formed in 1999. The foundation promotes the values of respect, tolerance and appreciation of all differences. On January 8th, 2001, Bridges was awarded the Presidential Citizens Medal by President Bill Clinton. In 2006, a new elementary school in Alameda Unified School District was dedicated to her. In 2007, the Children’s Museum of Indianapolis unveiled an exhibit documenting her life. In 2010, she had a 50th year reunion at Frantz Elementary. Ruby still continues to tour the world as an inspirational speaker against racism.